One of the most common variations required in a shoe, for any toe or forefoot abnormalities, is a higher or wider toe box. High toe boxes are available in many different shoe styles today, which include athletic shoes, comfort shoes, as well as some dress shoes. Our feet form the foundation of our entire body, and they assist us in one of the most basic functions when it comes to everyday living, and that is the privilege of being able to walk. 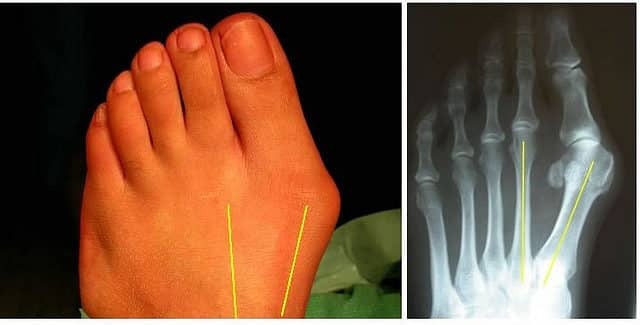 Your foot contains 26 bones, controlled by numerous ligaments, tendons, and muscles. Through activities of living, sports, and exercise, over time the structure and condition of your feet may change. Your feet are similarly susceptible to infections and systemic illnesses, which can limit your daily activities and the quality of your life. Here are a few foot Conditions that require a higher toe box shoe. In women with foot deformities and conditions, a high toe box shoe provides your feet with more freedom of movement, and reduces pressure on painful joints and toes. The extra space in these shoes will also aid in preventing foot and toe conditions, or further aggravation of these conditions. When looking for the best high toe box shoe you will firstly, need to consider the measurement of the height of the abnormality on your toes or feet. Most high toe box shoes have a depth at the point of 5cm from the tip of the toe and a similar vertical height. Extra depth shoes or orthopedic shoes are more likely to have a higher toe box and to accommodate foot conditions requiring this characteristic. I would likewise recommend a shoe that has a soft and flexible upper construction, as well as a cushioned and supportive footbed. The ideal running shoes when you require a more roomy and flexible toe box area, you simply cannot go wrong with the Asics Gecko XT. Soft and flexible synthetic and mesh uppers with a roomy and high toe box area, ideal for foot deformities and conditions. Cushioned for plush comfort with responsive FlyteFoam flexibility. A lightweight midsole and high traction GeckoTrac outsole for all terrain. Available in wider widths for every foot type. There are some color options available. The New Balance 411v2 is a breathable and comfortable walking shoe with adjustable straps and a wider and higher toe box. Synthetic uppers with perforated holes for breathability and adjustable Velcro closures for the ideal fit. ABZORB heel and forefoot technology with an EVA insole for the ultimate in shock absorption and comfortable support. A durable rubber outsole that offers excellent traction. The IMEVA midsole provides an entire length of cushioned comfort, for a better heel to toe transitioning and more consistent shock absorbency. For all those women who like the outdoors and an occasional hiking trip, the Asolo TPS Equalon High Toe Box Hiking shoe is tough and comfortable. Features a durable and slip resistant Vibram outsole ideal for outdoor terrain, offering excellent slip resistance. A Gore-Tex lining ensures that you stay dry from the inside and outside. The rubber toe cap improves durability and resists abrasion while the lugs on the rubber outsole are self-cleaning. An easy and adjustable lace-up system for the perfect fit. In addition, the toe box area is higher and wider to accommodate foot conditions and deformities. This shoe is recommended as a work shoe, particularly in the hospitality industry or for hospital workers and nurses. Dansko, in general, has a much higher and wider toe box, and safeguards some of the best slip resistance and shock absorbency features. This design has a higher and wider toe box area for freedom of movement and to reduce pressure on painful toes and joints. The instep and the leather footbed is well padded for additional comfort. The outside of the shoe is water and stain resistant, as well as very easy to clean and maintain. You can similarly look forward to long-lasting durability and excellent slip resistance with this shoe. Well let’s face it, every woman need a dress shoe for that special occasion, and wearing a fancy pair of heels with a pointy or pump toe can wreak havoc when you have a foot or toe deformity. Therefore I have chosen the ideal Trotters Doris with its wide and roomy toe box, and sophisticated design. Available in leather or fabric with a variety of color and design options. A synthetic sole that is durable, with an elegant and low heel. The notched vamp features a flexible goring insert for a better fit. A soft and comfortable brushed cotton lining. The Apex Ambulator is designed with orthopedic comfort in mind, a biomechanically designed shoe aimed specifically at a range of foot deformities and conditions. Offers excellent shock absorbency, arch support and a higher and wider toe box for freedom of movement. Available in wide and extra wide widths. Conforms to the shape of your feet without placing pressure on tender areas. Specifically designed to limit stress on areas of the toes and feet that are more susceptible to pain. Keeps your feet comfortable and protects them at the same time. It does not matter what the event or occasion is, it is always wise to choose comfortable and supportive footwear that fits well. This is particularly vital when you have a foot condition or deformity, in order to keep your feet healthy and pain-free. As you can see from my list I have chosen a variety of footwear for every occasion that will support and protect your feet, while reducing pressure on key areas that are normally affected by a foot condition or deformity. The right shoe can make a huge difference, and relieve you of consistent and excruciating pain.